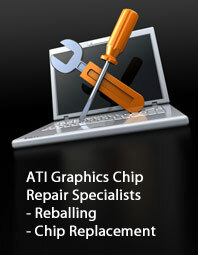 Creative IT, based in Central London, is a full service provider of Samsung ATI graphics repair and laptop video card and GPU (graphics processing unit) replacement solutions. We provide nationwide services for your Samsung laptop computer’s graphics card chip repair that includes reflow and Ball Grid Array (BGA) reballing services with a 90 day back to base warranty. Our team comprising of skilled component level laptop repair technicians and engineers can also efficiently replace your faulty or defective GPU chip thus enabling you to get back to your business quickly, in addition to avoiding the troubles of doing it yourself. Stop by our Central London office located at 80 Willow Walk, The Willows, London SE1 5SY, if you are interested to obtain more information on our quick Samsung ATI graphics repair and video card replacement services. If you are not based in London or you not able to come to our repair store, just make contact with us on 020 7064 4999 or email us at info@atigraphiccardrepair.com. 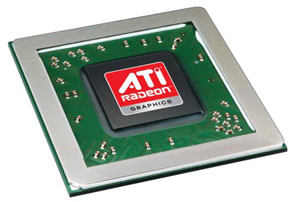 We can make arrangements for secure pickup and delivery services throughout the UK as part of our Samsung ATI graphics card repair and replacement services.